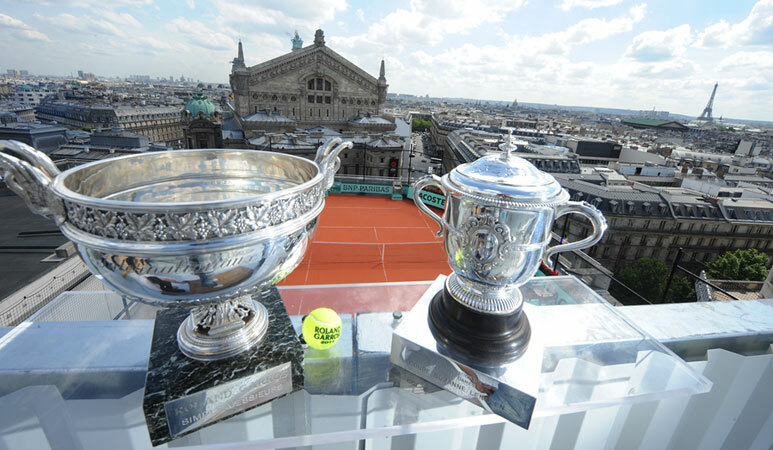 A fantastic Classic Clay™ installation on the rooftop of the Galeries Lafayette in Paris, France became the perfect setting for a pre-tournament exhibition match for the French Open 2011 with Australian Sam Stosur, Ana Ivanovic, Jo-Wilfried Tsonga and Richard Gasquet. 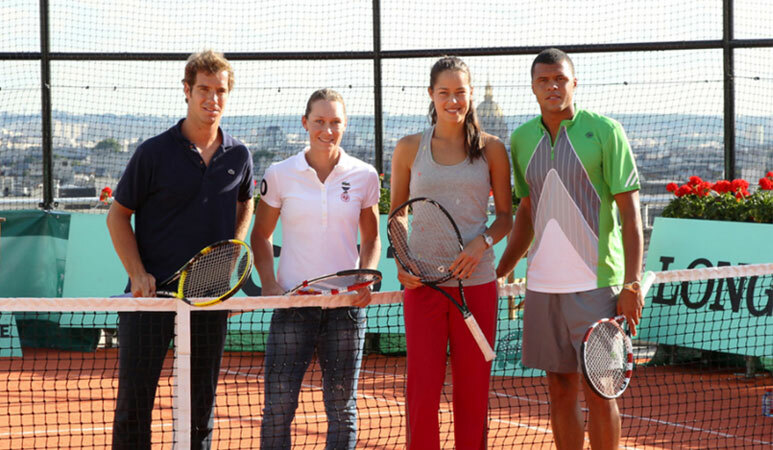 Tennis Australia featured the French Federation images of the event on Classic Clay™ with the iconic Eiffel Tower showcased in the background. 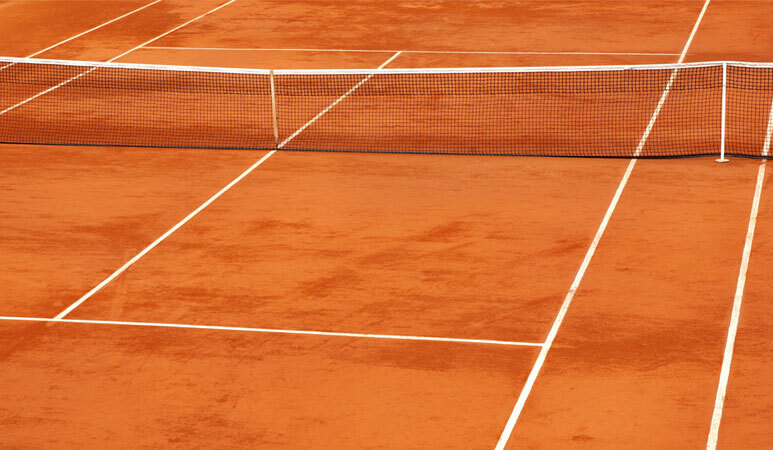 The world class ITF-rated and patented clay surface designed for high-performance tennis has been attracting attention around the world as the premiere surface in the development of elite champions. Just recently, the USTA player development team announced that it will be moving its premier junior tennis tournament, the Orange Bowl, from hard courts to clay citing ‘concerns’ rising over the lack of US players in the world’s upper echelons of the game, the elite top 10. They believe the US will have a better chance at developing stronger, more versatile tennis players by having them learn, practise and compete on clay. European players Rafael Nadal, Novak Djokovic and Roger Federer all grew up playing on clay. In Australia, Tennis Australia recognises a huge interest in clay courts and supports Macquarie University’s recently developed clay research centre studying the benefits of clay court surface movement in the making of champions. They’ve observed that nine out of 10 of the top male tennis players in the world have spent considerable time of their development on clay. They have noted that clay courts help players develop the required patience, footwork and skills. The rooftop installation in Paris features an authentic Australian Classic Clay™ court. The primary characteristic of the system is that it replicates traditional clay court playing characteristics whilst offering a 'waterless', low maintenance alternative. The infill being commercially sieved, colour pigmented and furnace fired, is consistent in shape and size, and offers controlled clay slide and aesthetic appeal. The coating prevents the surface from binding or compacting and contributes to the superior drainage qualities. This technique also ensures less down time after rainfall allowing players to spend more time on the surface. In addition, the patent claims of the Classic Clay™ offer the inbuilt raised 'Permaline' court marking system, which allows the over infilling of the court surface to settle to the precise height of the raised 'Permaline™' ensuring clear line marking definition and a clay court playing surface without adverse ball bounces. This revolutionary design results in a tennis court that plays like clay, slides like clay, has consistent ball bounce and looks exactly like a perfectly prepared clay court, but requiring less maintenance. Classic Clay™ is available Australia-wide and through international agents.